Sessions are conducted either in English or Cantonese. Session start times: 10AM, 11AM, 1PM, 2PM, 3PM, 4PM, 5PM, 6PM (Mon, Thurs, Fri, Sat, and Sun). Create a personalised gift or a new home decor to celebrate weddings, birthdays, or new borns. 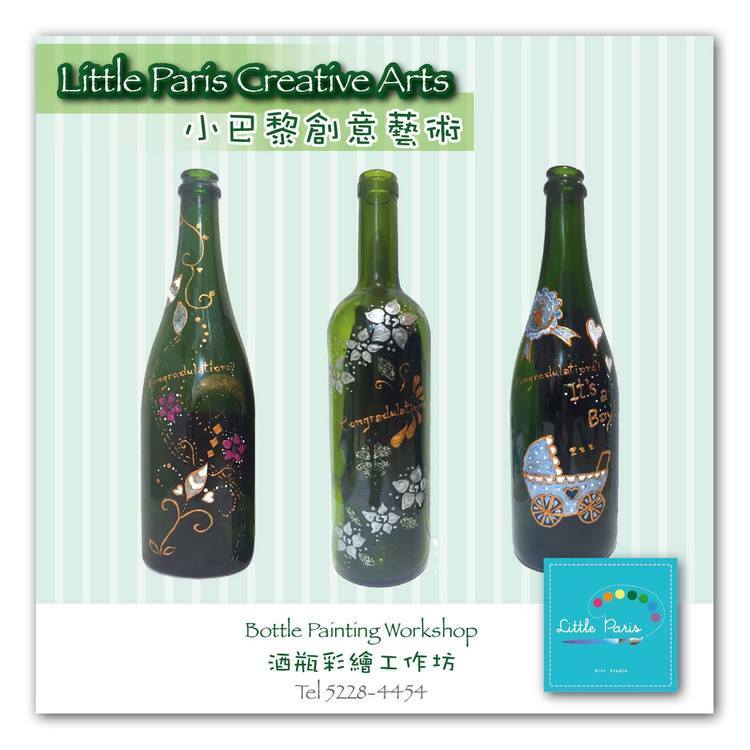 A professional artist will guide you to create your own bottle arts. Focus on the construction of various painting techniques for still life, landscape, and other compositions. We make oil painting fun and creative for young and adult artists. Learn to create any art models from a professional artist with extensive clay experience. Make a special gift for your loved ones or yourself.